Having extensive professional experience in the film and television industry as a Producer & Director of Photography, I have created a vast variety of content for companies such as the UFC, FOX, CBS, MGM, Break Media, Maxim Magazine, and Action Sports Group. I am local to the Las Vegas and Los Angeles area, specializing in shooting Commercials, Documentaries, and Live Events. 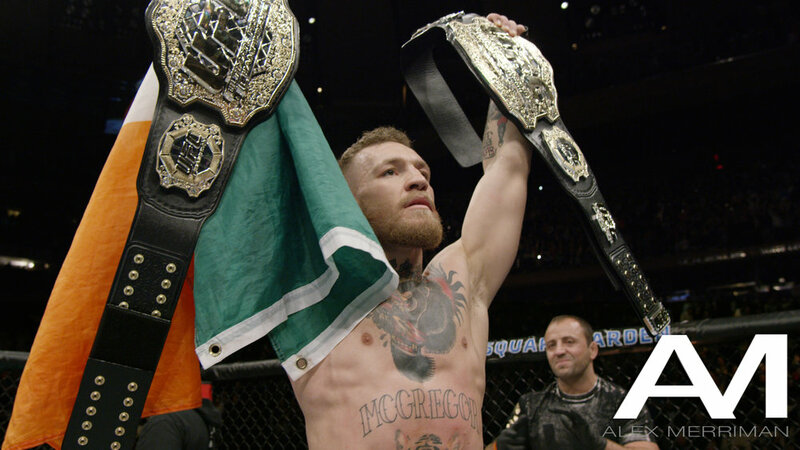 Most recently, I have shot over 200 episodes of the multi-award winning show UFC Embedded, field producing and filming such UFC fighters as Conor McGregor and Ronda Rousey. During this time, I have also operated as Field Producer and Director of Photography on the 2017 Emmy Award winning show UFC Fight Flashback. While not all my work is on this site, below are a few recent projects I have shot. You will find more projects I have worked on in the "Portfolio" tab. For the last 7 years, I have filmed over 80 live UFC events in arenas across North & South America, Europe, Asia, and Australia. Navigating through crowds of 55,000+, I’ve become well versed in not only achieving the best angle but never missing the shot. The cameras I’ve used to obtain some of the most dynamic live action shots have mainly been under the brands of RED and Arri. Not only do I shoot octagon side with a handheld rig, I also utilize a MoVI Pro rig to film inside the octagon for pre and post fight coverage.